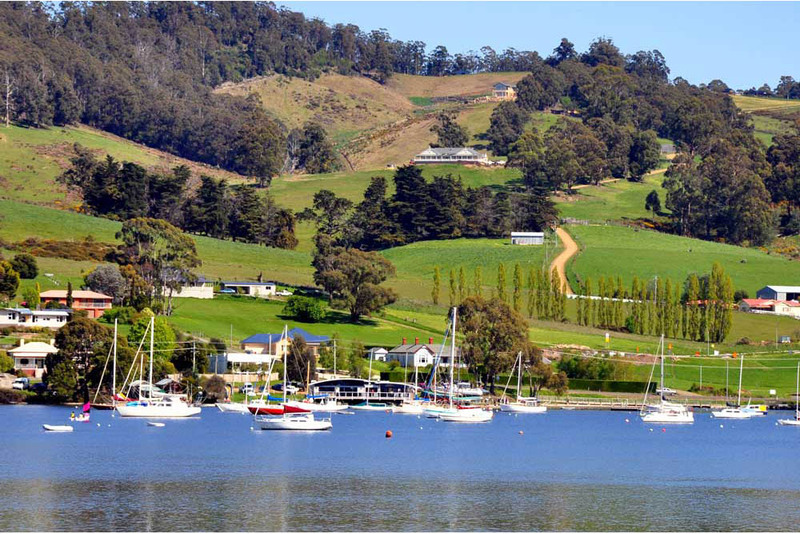 The small hamlet of Cygnet lies between the beautiful D'Entrecasteaux Channel on one side and the majestic Huon River on the other and is the centre of the fruit growing Huon Valley where apple, cherry and berry orchards line the hills. The township is popular among artists, musicians and those seeking alternative lifestyles. The town includes several craft shops, art studios and galleries. You can see their works firsthand in a meet the maker experience on the Cygnet Art Trail. The TV program Gourmet Farmer, featuring renowned ex Sydney-based food critic Mathew Evans, is set in Cygnet. Matthew Evans has since gone on to establish a food partnership with local producers that has given further impetus to Cygnet as a foodie's treasure trove. For lunch, try the Red Velvet Lounge, a unique dining experience in the heart of town that was named Australian regional restaurant of the year by Country Style magazine (2010). Close by are two swimming beaches - Verona Sands and Randalls Bay. There are also two award-winning wineries - Panorama Vineyard at Cradoc, and Hartzview Vineyard at Gardners Bay. At Hartzview, their Heritage Pickers Hut Village will let you experience the home of orchard workers and their families, and Italian Prisoners of War in the early 1900s. Cygnet is a 50-min drive (55 km) south of Hobart.